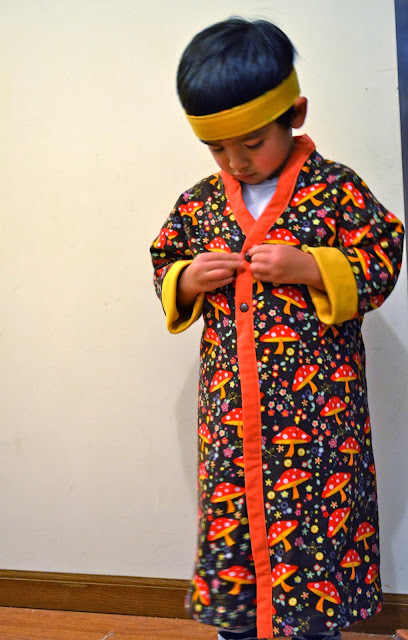 The kids grew out of the robes I made them a couple years ago. So I let them pick some flannel from my stash for new ones. Little Guy picked this pretty toadstool fabric for his. Oh, but he wanted the belt on his head instead of around his waist!